The SPARKS project has committed to a strong stakeholder engagement programme. The main pillar of this engagement activity are a series of stakeholder workshops. Additionally, throughout the lifetime of the project, we will seek to engage with the community via special events, such as panel sessions at international conferences and scientific workshops. A list of events the project has organised and co-organised are listed below. Throughout the lifetime of the SPARKS project, a number of stakeholder workshops have been planned. The aim of these workshops is to disseminate the project’s results and to solicit feedback and requirements for the varied stakeholders in the smart grid domain. 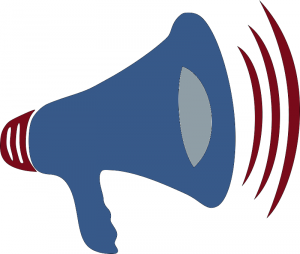 The final SPARKS stakeholder group workshop will be held from 13th to 14th March 2017 in Vienna. There will be some presentations of related projects as well as talks and a panel session. In the evening a poster session of students take place. Details regarding the Symposium can be found on the homepage. The third SPARKS stakeholder workshop on European Smart Grid Security: Emerging Threats and Countermeasures, will take place in Brussels on the 5th April, 2016. The aim of the workshop is to highlight the solutions the SPARKS project has developed to address the smart grid cybersecurity challenge that was highlighted in the second workshop. Details can be found on the homepage of the workshop. 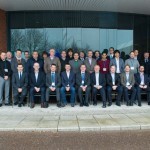 The second SPARKS stakeholder group workshop took place on 25th March 2015 in Cork, Ireland. At the workshop the importance of cybersecurity research for the smart grid was highlighted through an illustrative cyber-attack demonstrations. Details regarding the workshop can be found on the workshop homepage. 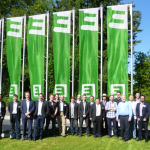 The first SPARKS stakeholder group workshop was held alongside the Austrian Smart Grids Week in Graz on the 20th May, 2014. The aim of the workshop was to present an overview of the project’s objectives and to garner feedback from our stakeholders. 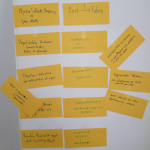 A number of interesting themes emerged during the workshop, which were summarized in a summary document and this website. One of the major objectives of the SPARKS project is to develop novel risk assessment methods for smart grid. This includes the development of vulnerability assessment techniques, and simulation tools that can be used to assess the impact of a cyber-attack to a smart grid. As a way of gathering feedback on the challenges of risk assessment for smart grid, we held a joint workshop with the nationally-funded Smart Grid Security Guidance (SG)2 project. At the workshop the participants were ask to carry out a number of exercises, including analyzing the risks associated with a number of failure scenarios. A summary of the outcomes and the presentations from this workshop can be found here. Future power systems and smart grids will include a greater Information and Communication Technology (ICT) component, in order to support future energy services. Whilst this prospect has many benefits, it also makes power systems and smart grids more vulnerable to cyber-attacks and introduces increasingly critical dependencies between the cyber and physical domain of power systems. The purpose of this workshop is to be a forum for discussion on the key challenges in ensuring the security and resilience of cyber-physical smart grids. This multi-disciplinary workshop is being held at the Cyber Physical Systems week (CPSweek 2016) and is co-organized by three major European-funded research projects in the smart grid area, namely the SALVAGE, SEGRID and SPARKS projects. The workshop will run for a full day and include a keynote speech plus regular paper presentations. More details can be found on the workshop website.